Today, there are many types of digital toys available for children. Actuated toys, such as remote-controlled cars, are getting more intelligent and smart: we can now control these kinds of toys with smartphone applications. On the other hand, such controllers are sometimes difficult for children to control. Thus we propose an easy way to control a motorized car by using simple sounds. Once a user rings a bell, it makes a duck toy move towards the direction of a user. 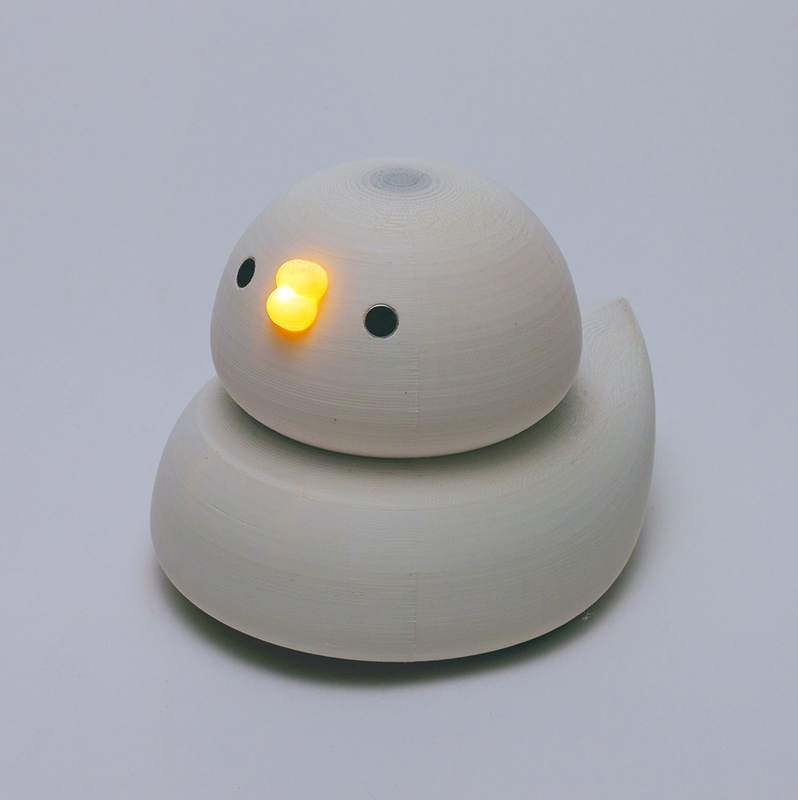 Our duck toy has two capacitor condenser microphones to detect the location of a sound source. Then, through frequency analysis, it detects the pitch of a sound. As a result, a user can enjoy being like a mother duck. Orphe is a smart-shoes system designed for performance that functions both as a customizable lighting system and a musical instrument/audio-visual controller. The sole of each shoe contains advanced motion sensors, around 100 full-color, serially-controlled LEDs, and a wireless module (patent pending). This technology allows users to intuitively express themselves in new and interesting ways by freely mapping interactions between their movements and light and sound. We also provide a system that makes it easy for users to share the assets they’ve created online, and we hope to grow a community of artists and performers working in different media and genres who can take inspiration from each other’s use of Orphe hardware and applications. NAKANISYNTH is a synthesizer application that allows users to produce sound loops by freehand drawing sound waves and envelope curves. Since the only input required involves drawing two waveforms, users can easily produce various sounds intuitively without complex manipulation. This application has a keyboard where users can edit waveforms and make sounds simultaneously. Therefore, it is easy for the user to understand the relationship between a waveform and the sound it produces. Paul is currently working on a research project here at Tokyo Metropolitan University’s System Design faculty looking at how to make information on natural hazards (such as earthquakes, active volcanoes and typhoons) in Japan more accessible and usable. It’s very early stages but the plan is to build a smart phone app. We’ve recently launched a mini-site for the project at hazards.jp. This research will build on some of the findings from Paul’s PhD and the MyFireWatch project. Freqtric Project is a physical contact interface which enables a new level of interpersonal communication to augment face-to-face communication. Pocopoco is a new musical interface that users can control by pushing, holding and turning – very intuitive and tactile actions. To create Pocopoco we developed original solenoid units with built-in sensors and assembled 16 of them in a box-shaped container to serve as a universal input/output device. Through the use of their up and down movement we have created a new form of musical expression. The resulting device is a versatile interface whose physical movement is appealing to both performers and audiences.